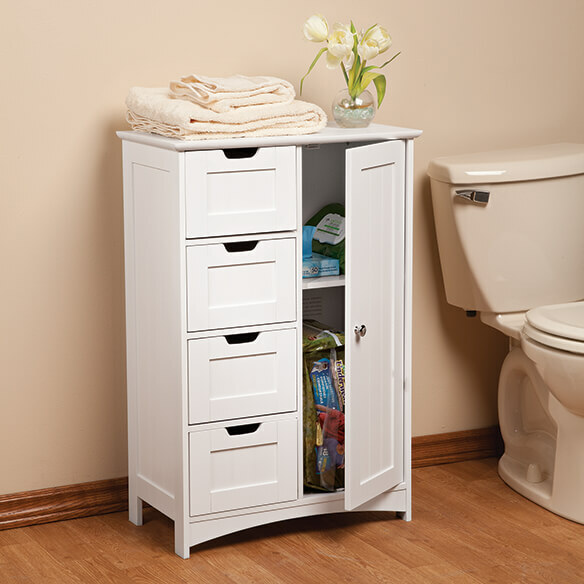 Our exclusive Ambrose Collection bathroom cabinet by OakRidge™ makes storage simply beautiful. Wainscot-style cabinet complements any décor from beach chic to classic to contemporary. As solid as it is stunning, its wood frame creates a sturdy storage space, featuring 4 drawers with cutouts for easy opening and a spacious cabinet with adjustable shelf to help you stay organized. Perfect for bathroom, bedroom, living room or any area of your home. Easy assembly required. 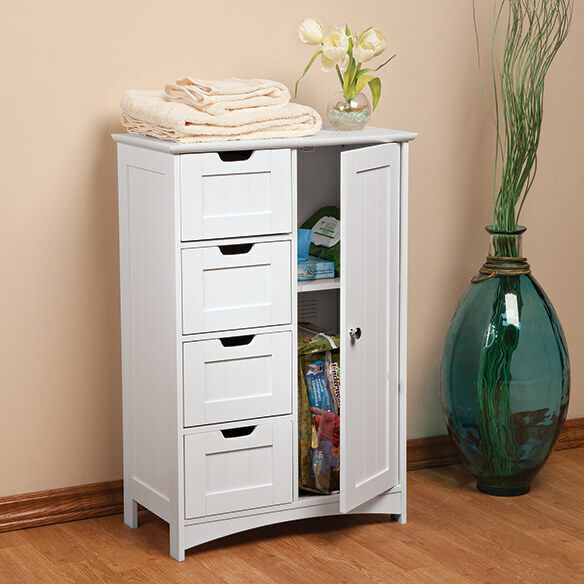 Bathroom storage cabinet measures 21 3/4” L x 11 3/4” W x 32 1/2” H. MDF.